Cross-post by Matthias Scheutz, Professor of Cognitive and Computer Science, Tufts University, is also Director of the Human-Robot Interaction Laboratory (HRILAB). “Müder Roboter” by Dieter Schütz via PIXELIO // Robot and GP by Thomas Meier via Pixabay. 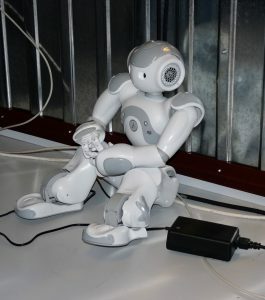 This entry was posted in AI, robotics & the future of work and tagged Roboethics. Bookmark the permalink.